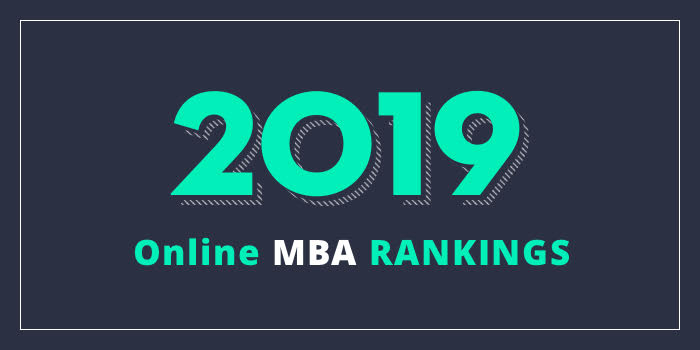 Our 2019 rankings of the Top Online MBA Programs in Indiana. For an explanation of ranking criteria, click here. The Kelly School of Business at Indiana University offers a flexible online MBA program that allows students to customize their experience by selecting 12 credit hours of electives to create a specialized area. Also known as, “Kelly Direct Online,” the program offers the opportunity to complete a dual MBA/MS degree with an Online MS in Business Analytics, Entrepreneurship & Innovation, Finance, Global Supply Chain Management, IT Management, Marketing or Strategic Management. This may be accomplished with only 12 additional credit hours. Other unique opportunities for students include AGILE—Accelerating Global Immersion Leadership Education, which allows students to gain international business experience while pursuing their online degree. Offered each quarter, the AGILE curriculum features travel to places such as Gaborone, Botswana; Sao Paolo, Brazil; Beijing, China; New Delhi, India; Yangon, Myanmar, Johannesburg, South Africa, and Havana/Vinales, Cuba. The Kelly Direct Online MBA takes just two years to complete and it is accredited by the Association to Advance Collegiate Schools of Business International (AACSB). This AACSB-accredited program offers five optional concentrations including Entrepreneurship, Finance, Health Economics, Policy and Administration, Logistics and Supply Chain Management, and Sales Management. An additional option is the General MBA, which allows students to customize their experience through a variety of course subjects. Miller College of Business offers an additional delivery format option designed for students who prefer a combination of online and on-campus classes. The Hybrid MBA allows students to choose which classes they would like to take on-campus and which ones they prefer to complete online. Most students (in either program) enroll in an average of two courses each semester and typically complete the program in five to six semesters. Three start times are available including Fall, Spring, and Summer.